Looking to get in shape, connect with other moms, and have fun in 2018? Check out the programs from Fit4Mom Marin. Programs include Fit4Baby, a prenatal fitness program; Stroller Barre and Stroller Strides, fun workouts that you can do with your baby; and Body Back, workouts for moms who want their body back, whether they just had a baby or their last child was born 20 years ago. Fit4Mom Marin also offers "Our Village" playgroups and moms' nights out. 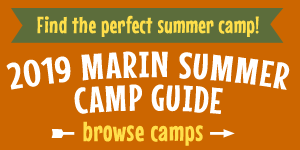 Programs take place at locations across Marin, including Civic Center Lagoon Park in San Rafael, Mill Valley Community Center and Parks, Hauke Park in Mill Valley, San Anselmo Memorial Park, and Northgate Mall.